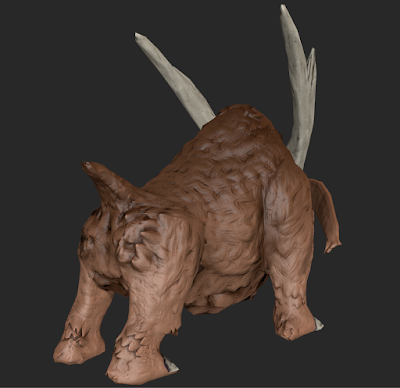 Personal game art blog: Changes to beast model. As you can see in the above screen shots, and more so in detail if you take a look at the links i provided to the models in sketchfab, some slight changes have been made to the beasts model. 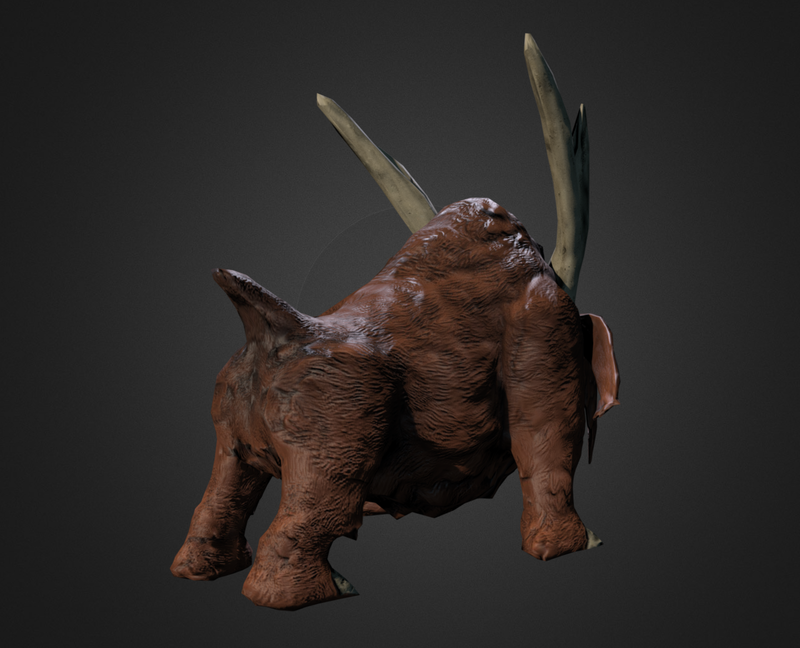 From the beginning of creating this model, myself and my groups leader couldn't decide how we wanted to go about showing how shaggy the fur is on this beast. As we couldn't decide, I created the first rendition of the model that is shown at the top of this post. 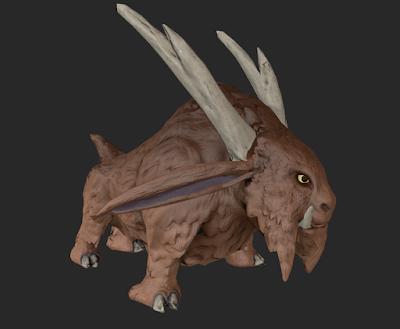 The problem we agreed on, with the original model was that the fur didn't appear realistic enough, and you can see this mainly on the torso of the beast, where what I intended to be clumps of hair all look too much like spikes rather than shaggy fur. 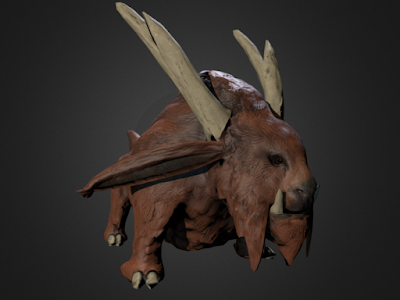 To combat this, we agreed that I should rework the highpoly mesh so that the fur was finer looking and stood out a bit more, and to not focus so much on creating big spikes to make look like tufts of fur, and i would say im pretty happy with the final outcome. Besides this a change was also made to the front of the beasts head in order to appear more realistic, as the eyes where originally to much on the side of the head more fish like, than what we intended with the concept, where they should of been more able to face forward like that of a cow or yak.